We’re a proud Brantford Ontario dental office that recognizes that all our patients are unique, and deserve to receive care that reflects their individual needs. Meet our experienced and talented dental team, which are committed to working with you and your family to create a comfortable, stress-free, and rewarding dental experience, every time you visit us. View the entire team at Parkway Dentistry below, and if you have any questions feel free to call us at 519-720-9119 today! Dr. Modi is privileged and excited to provide comprehensive dentistry to his patients for over 15 years. After receiving his Honours B.Sc. in Chemistry at McMaster University in 1997, and his Doctorate of Dental Surgery in 2001 from the University of Toronto where he was class Valedictorian, he completed his General Practice Residency at Miami Valley Hospital in Dayton, Ohio. 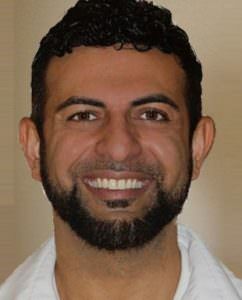 Dr. Modi began to practice dentistry in Brantford the following year. Dr. Modi is proud and honoured to be on the faculty of The Dawson Academy which is one of the most reputable and influential dental academies in the world. He serves within the academy as both a Teaching Assistant and as the Associate Director of their Ambassador program. Dr. Modi is also a member of several prestigious Dental Associations including the American Academy of Cosmetic Dentistry, Canadian Academy of Restorative Dentistry and Prosthodontics, and the Ontario Dental Association. He has completed hundreds of hours of continuing education programs to further develop and advance his skills in cosmetic, implant, functional and reconstructive dentistry, and he has studied with some of the best educators in the industry. For his patients, he strives to provide optimal services and maximize their health, jaw function, appearance and comfort. He recently published an article reviewing his systemic approach and treatment for a full mouth rehabilitative cosmetic case in the Oral Health Journal which is a national publication. Brantford Ontario is Dr. Modi’s hometown where he attended St. Leo School for elementary education, and graduated at St. John’s College High School. His Practice, Parkway Dentistry is conveniently located next to several major shopping centres and has ample parking for patients. He and his wonderful staff are always ready to provide you with the care and comfort you need, in the most welcoming environment where every patient is a friend. Dr. Usman Malik attended the University of Toronto and worked towards his Doctor of Dental Surgery degree and also his Bachelor of Science. He regularly attends the annual ODA Conferences in Toronto, and continues to upgrade his skillset by taking continual education courses in dentistry through the American Dental Association (ADA). His professional memberships include memberships with the Brant Dental Society, the Toronto Academy of Dentistry, and the Ontario Dental Association (ODA). Dr. Malik grew up in Toronto and moved to Brantford Ontario where he’s been living for almost ten years. His spouse is an elementary school teacher teaching in Brantford, and he has 3 nephews that he adores. When he’s not researching or upgrading his skills, he spends his time with his family, doing yoga, working out or leisure time at his cottage. One of Dr. Malik’s special abilities is in making children feel calm and comfortable while they’re at the dentist, and ensuring their experiences are happy and positive ones. Originally from Toronto, he graduated with distinction from York University with a major Mathematics. In 2009, Dr. Margel obtained his dental degree from The University of Pennsylvania. He then went on to work as a general dentist for two years prior to embarking on a two-year specialty program at Marquette University in Endodontics. His Masters thesis investigated the anatomical complexities of molar root canals. Dr. Margel is a Fellow of the Royal College of Dentists of Canada, and a member of The American Association of Endodontists. In his spare time, he enjoys sports, exercise, and traveling. Alyssa grew up in Paris, Ontario and attended Paris District High School. She graduated from the dental hygiene program at Niagara College, and has loved being a part of our fun Parkway Dentistry team since 2011! Alyssa is great at educating patients about their oral and overall health, but her favourite thing is building relationships with her patients on a personal level. Alyssa enjoys summers at her cottage in Sauble Beach with her boyfriend Devin and their one-year-old baby, Hunter. Two cats, Cali and Sully, round out the family. Alyssa’s hobbies include going on walks, reading, and spending time with family and friends. Chantel was born and raised in Brantford. She attended North Park Collegiate, where she did her cooperative education with Dr. Modi. She attended Fanshawe College in London where she obtained her diploma in dental hygiene. As one of our hygienists, Chantel’s goal is to optimize her patients’ oral health through clinical therapy, education, and overall health promotion. Chantel enjoys five-pin bowling:something she’s done since she was five years old! She’s even won gold medals at several national competitions! In her down time, Chantel enjoys spending time at her cottage in Long Point with her boyfriend Chase. They have a black Lab named Jet who enjoys going on walks and swimming. Diana is here to take care of all our administrative needs, including managing and coordinating our dental hygiene schedule. She is a people person who studied radio broadcasting, and while she is new to the dental field, she’s passionate about providing great service to our patients, especially those with dental anxiety. Diana and her husband Brooks were married in 2015 and recently bought their first home. She is an avid collector of music, especially vinyl. Her hobbies include going to concerts, meeting up with friends for sushi, watching the Blue Jays win, and spending time at her family’s cottage in Sauble Beach. Karlee grew up in Branford and has been a Level II certified dental assistant since 2015. She works alongside the dentists at Parkway Dentistry to provide excellent care to our patients. She enjoys being a part of a team that makes a positive difference in the lives of so many people. Karlee’s 200-pound English mastiff Jax, keeps her hands full outside of work. She also enjoys listening to country music and going to the beach. Kelly has been a Level II certified dental assistant since 2005. Kelly and Dr. Modi have worked together during that time and are dedicated to providing excellence in dentistry while making the dental experience a fun, enjoyable one. Kelly enjoys spending her time in the summer at the cottage wake-boarding and sea-dooing. She also plays baseball and in the winter loves to snowboard. Lorraine graduated as a registered dental hygienist in 1985 and has found dental hygiene to be an extremely rewarding experience. Her career has enabled her to make a big difference in the lives of her patients by educating them about the little changes that can lead to a better state of health. She is committed to helping you achieve optimal oral health while building lasting relationships. Lorraine is married to Mike, and they have two grown children: a daughter Madison and a son Cody. She loves the outdoors during spring, summer, and fall, and spends much of her time walking and in the yard. Her mission in life is to find a way to live somewhere hot during the coldest months of the year! Megan graduated from Niagara College in 2013 with her certification in dental assisting. Since joining our team in 2016, she has really enjoyed getting to know our family of patients and helping them to feel comfortable during appointments. One of her greatest goals is providing education so patients can achieve the best possible health. Megan lives in Norfolk County with her dog Nahla. She loves riding quads, snowmobiling, and going to the cottage in Muskoka with her boyfriend. Michelle takes great pride in providing a high level of dental hygiene care and education related to the prevention of oral disease. Michelle enjoys summers by the pool, running, baking, and spending time with her family. Tesa is a registered dental hygienist and a Level II dental assistant. She graduated from Niagara College with honours. While there, she won the Hu-Friedy Golden Scaler Award, the Dental Hygiene Leadership Award, and the Dental Hygiene Clinical Award. She has a passion for oral health and firmly believes that, with proper oral hygiene education and client centered care, she can assist patients in the prevention of oral diseases. She is a great team player who adds to our office’s patient-focused philosophy.